Located among the Legends Resort Golf Complex is what some consider the most difficult of the three courses, Parkland. This Par 72 golf course, designed by Larry Young and Tom Doak opened it’s doors to the public in 1992 and has since received a 4-star rating from Golf Digest. Bring your driver when you show up for your tee time at Parkland Golf Course and Legends resort, at almost 7200 yards, you’ll keep that one of the busiest clubs in your bag! For all the natural beauty that Parkland Golf Course packs into it, the challenges that you will face are also abundant. Unlike the other two sister courses at Legends Resort, Parkland is different thanks to the challenging tree lined fairways and multi-level greens. Of the three courses, Parkland is probably the favorite among locals and visitors alike. When you pull out your driver, you goal is to hit a nice and straight drive. With many out of bounds areas on each side of the fairways, straight is a must. Plus, Parkland Golf Course has over 100 bunkers – most strategically placed around the greens, so hitting the beach at this Myrtle Beach golf course could take on a whole new meaning. When hitting your shot into the green, careful placement is required. The greens might look easy since they are so large, but with all the undulation that they have finding the perfect spot and having your ball stay might be a bit of a challenge. The easiest hole on the Parkland golf course is #8, which is a Par 5 with a creek running down the middle of the fairway. This hole can be reached in two, which means an eagle is a possibility and birdie is fairly easy to come by when you play your shots correctly. The very next hole (#9) is a 340 yard par-4 that will leave you wanting to try to knock your tee shot on the green…… careful with that though, with trouble all around the green – your in for a hard time if you miss. These two holes are the easiest on the course, and the entire 18 holes will make you think your way around this golf course. 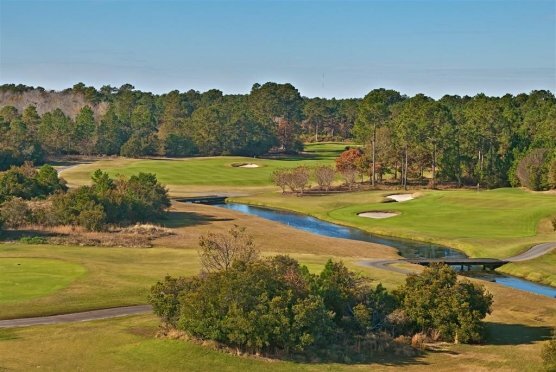 Parkland Golf Course at Legends Resort is a great and challenging course for players of all skill levels and a great addition to any Myrtle Beach golf package. Being part of the Legends Resort Golf Complex means that often there is even more added value with free breakfast/lunch and two sodas or beers with your round. 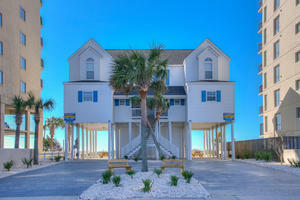 Ask your golf specialist today about this fantastic Myrtle Beach golf course.